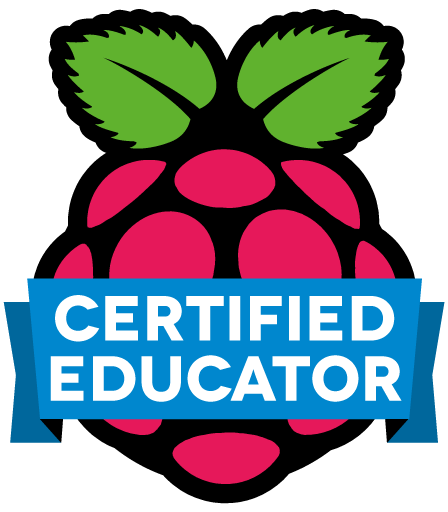 A few people have asked me about getting started with Raspberry Pis so I decided to blog about how I introduced them into my classroom. This was with a class of year 5s (9-10 year olds) but I intend to do this lesson in lower key stage one (7-9 year olds) as part of a ‘What is a Computer?’ unit of work, looking at a variety of devices including a focus explaining inputs and outputs. The first introduction I did for my class was without anything but a Raspberry Pi. I held it up at the front of the class (and under the visualiser) and said ‘This is a computer’. As you can imagine (and as with most people who have never seen a Raspberry Pi before), their mouths dropped and they waited for the punch line. I did explain that in its current state it wouldn’t do anything (as there wasn’t even any electricity in it but I didn’t tell them this part) but that is all the explanations I gave them. Next, I split the class into 5 groups and gave them a Pi per group. Ideally I wanted this to be a Pi in its raw form (without a case) but the Pis I got from Google are attached to their case so I just opened them up as much as I could. I said to them, “I want you to make suggestions about what else we need to make this computer usable. I want you to list any ideas you have about what certain bits do and I want you to write a list of questions, either that you think would be interesting to talk about or you genuinely don’t know the answer to.” I then left them for 10-15 minutes whilst going around, listening in on conversations and being on hand should group-dynamics need a little work! I should say that the first time I did this style of activity, I did this with the Digital Leaders at my school. If you’re not sure what they are then check out this post here. I pretty much followed the same idea but there were less of them. Then the second time I did this, now with a whole class, the digital leaders were assigned to a group and went around questioning the other children for things they recognised and making sure everyone in the groups were participating (they don’t tell anyone the ‘answers’ though, I’m very clear on that one). fishbowl – Students model (repeat) a discussion they had with the whole class watching. The other students must take notes on what the small group is saying and not interrupt until the end when the whole class can discuss. Or you can just ask them to put their hand up and tell you what they found, really whatever works for you! This is where things start to get interesting and for me it was a useful assessment opportunity of their Computing knowledge and understanding (for some it was a way to extend their understanding of electricity and circuits). We started with what the children could explain on the device, otherwise we may explain these bits before we got around to discussing them. 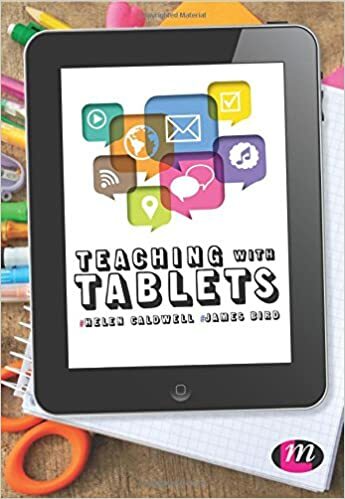 Most of the children recognised the USB ports (they were often called ‘thingies’ that you used for ‘stuff’) but with a bit of questioning we could suggest other places we’d seen USB ports such as my class visualiser and to connect an iPhone/iPad to iTunes etc. At this point I didn’t go into any more detail about what we’d actually need them for on a Pi – that will come later. Other things they had noticed: it says ‘Made in the UK’ on it, ‘it has a picture of a Raspberry on it’. Now these may not be ‘technical’ recognitions but does it matter? Why are they written there? Is it important? Do you think it would make a difference if it wasn’t made in the UK? Is it ok to write on the board? What are the other markings on the board for? This can lead into a whole discussion about what the board itself is: essentially just a way to hold a variety of circuits together. Now you don’t need to get too deep into the electronics but just giving children a brief insight and planting the seed of information – you never know what it might grow into. From here, I progressed to – what does the Pi need for us to be able to use it as a computer? Now I can’t remember exactly what they listed but there were a lot of things they said; some of which were electrical and nothing to do with a computer, others were things computers have but you wouldn’t decree are ‘necessary’ and some things which I’m pretty sure existed in their imagination. This was all fine though, again it showed me what they understood and it allowed us to have conversations about the different aspects of a computer. During a break, I carried 5 monitors into my classroom ready for a subsequent lesson. They are monitors of varying shapes and sizes as they had been donated (via Twitter pleas) to help with my Pis. I wasn’t going to introduce them until later on but I needed them to hand. As children started to return from my classroom I heard snippets of conversations ‘We’ve got new computers, cool!’ ‘Where?’ I thought. Upon further investigations, I’m sure you’ve guessed, the children were referring to the monitors. I then started futilely saying ‘They’re not computers, they’re monitors’ which clearly did not mean a great deal to the children and just ended in my repeating myself frequently. Clearly, I need to teach the ‘What is a Computer’ aspect of our newly design Computing curriculum. 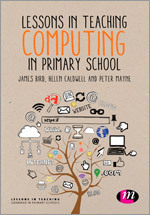 Again, this allowed me great insight into their understanding of Computing without a formal assessment in sight. Child: That looks like a phone charger, miss! Me: Ok, so what do you think its role is on the Pi? Child: Is it a charger? Me: I know why you’d think that, it is close but not quite. The Pi doesn’t have a battery so there’s nothing to charge. Child: I think it’s a charger. Me: You are right, in fact this would charge my mobile phone if I plugged it in. The reason it can charge my phone is because there’s a battery in my phone and the electricity is stored on there. Unfortunately the Pi doesn’t have a battery so that doesn’t quite work. It is going to need to be used for something similar to charging though. Any ideas? Child: Are you sure it’s not a charger? Me: Exactly! So it doesn’t charge, you can’t leave it for a while and then unplug it and use it but it does need electricity. When the Pi is plugged in it will work, when it’s not it won’t as there is no where built-in to store the electricity. Child: So how do you move around with it then? What if you decide you want to work over there [points] instead of here? Now, this wasn’t the same child each time, and it probably isn’t direct quotes but it is along the lines of the conversation my class and I had at this point. They had done well to recognise the phone charger and they knew straight away that the device would need electricity, however, their stumbling block was that it couldn’t store the electricity. I hadn’t expected this before the lesson but upon reflection it makes sense. These children are 9 or 10. In school we have MacBooks and iPads and at home many of them have tablets or laptops. What they’ve not had a lot of experience with is ‘desktop’ computers. The concept of a computer which you couldn’t walk around with was mildly baffling to them. Depending on your wording, and the age/ability of your children, you might want to differentiate between what the Pi needs to work and what the Pi needs for you to be able to use it. For the Pi to work it needs to have electricity and therefore a power supply, and an SD card to run. (There is even room here for conversations about whether it ‘needs’ an SD card or as long as it has power it is ‘working’ – this leads nicely to a higher level understanding of what is a computer?) However, you aren’t going to be able to do a lot with it in that state. I delved into this concept with my Digital Leaders but it would have been too much for my class at this point in their Computing understanding – perhaps we will return to it in the future. Now you lead straight into conversations about inputs and outputs. How do we know what the Pi is doing? It needs to output information in ‘some’ way – this could be a screen but again you could go through a multitude of explanations (is the light on the Pi being on when the Pi is on an example of a computer output?) How about actually using the Pi? You’re going to need to put information into the Pi, like telling it what you want it to do, how can you do this? Commonly we use a keyboard and mouse but there are other ways – surely the SD card itself is an input? Why isn’t it in a case? Does my computer look like this on the inside? Why does the SD card stick out? How is it so much smaller than other computers? Why does the case have holes in it? To name a few. And here you have it, their interest is peaked and you can start to model the range of possibilities (and uses) for a Pi. Now I began to show them amazing projects, some of which we won’t ever be able to attempt in school, and many of which I have no idea how they worked, but they’re excited. What about the one where a Pi goes into space? What about the one where they made a smart phone out of a Raspberry Pi? What about using Siri on an iPhone and a Raspberry Pi to open your garage door so you can drive straight in? What about a Raspberry Pi as a weather station for you to forecast your own weather? What about using a Raspberry Pi as a parent detector so it messages you when they’re coming? What about a robot that has a Raspberry Pi which you can then control? The list again is almost endless. Watch videos. Read articles. Show them what real people are doing, right now. 90% of the projects I have seen are not to do with a Raspberry Pi for work or because people have been asked/told to do something with it. They are people learning and exploring what they can do it because it’s fun and they are interested in it. Now I have to say, from a pedagogical viewpoint I wouldn’t do all of this in one lesson. This is just a taster to get the children excited. Depending on the existing age/knowledge of the children you may just want to ignore some of the suggestions above for now, and return to them when they have assimilated a range of new Computing ideas and concepts. It could be that you use some of the ideas as differentiation if you know you have a particularly talented group of Computer Scientists amongst you. You might have it for extension if one group finishes before another or you might leave them at the end of a lesson with points to consider for next time. As well as this, you know your class. My current class love to talk, discuss and challenge each other’s thinking so we can do a lot of questioning. Your class might prefer the ‘Let’s get started approach’ in which case – do it that way! Open with discussion but keep hold of questions and interject them at relevant times. Let them connect the Pi up (after all it’s really just matching connectors to sockets) and see what happens. What if you don’t give one group a monitor and another group a keyboard? Will they recognise that they need these parts? Access the discussion this way. Overall these lessons really are just to get children interested and excitable about the subject of Computing. You are no longer restrained to what a computer or program can already do – you can make it do whatever you want to do! Let your imagination run wild! What subject is more creative than that? Step 2: Now, should I plug in the Pi? How will I know what to do? 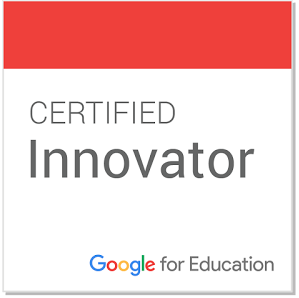 Sway: Your enthusiasm is infectious, and I love the way you encourage teachers to engage with their students about this stuff. 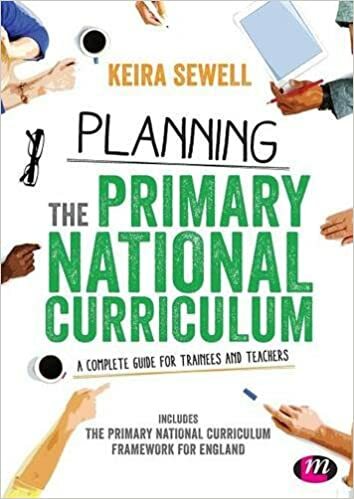 This is one of the few curriculum areas where students and teachers can genuinely feel they are making progress together, and I think your excitement about the subject is infectious. Thanks for posting this. Many teachers (even in STEM subjects) feel that their ignorance is a barrier because they should be an authority, when in fact confessing it to the class can be a catalyst to true mutual learning. Thanks a lot - I strongly believe that it is really important to show the children that we don't know everything and I learn just like everyone else does! The trick is being brave enough to have a go! I was really surprised by the idea that they were taken aback about needing to keep the Pis plugged in, but it makes sense now it has been pointed out... Glad to see I'm not the only pedant in the room (I was wincing at 'electric' too...) I look forward to future editions in this series. It'll very quickly reach the point at which I'm learning something new myself! Hey I run a computer club which YEAR 11 students attended until recently and they were clueless about pi's. Now i'm working with y7/8, they love them (and arduino). I'm so jealous you get to teach with this stuff. Thank you so much for this post! The title is me... at this very moment. You've inspired me - I'm going to give it a go with my digital leaders first then... der der der - let the class loose!